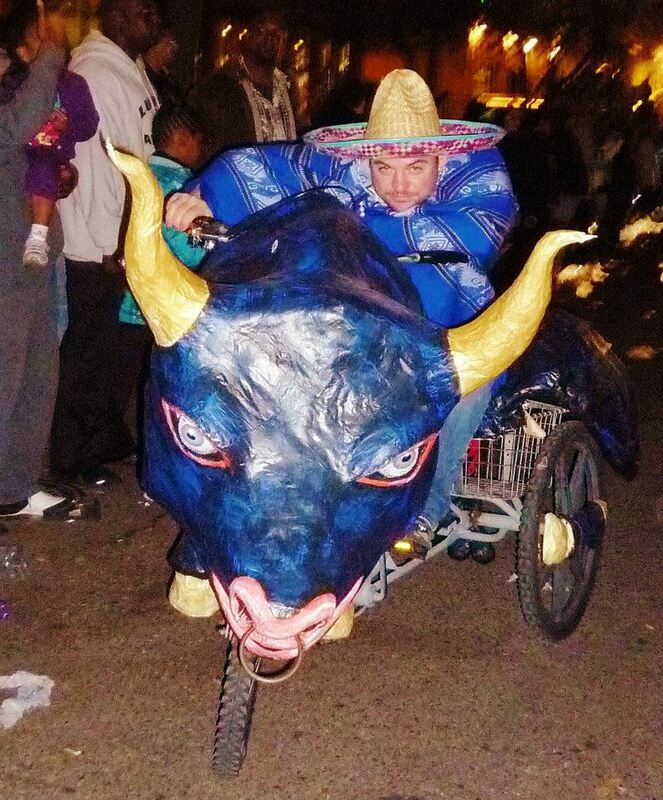 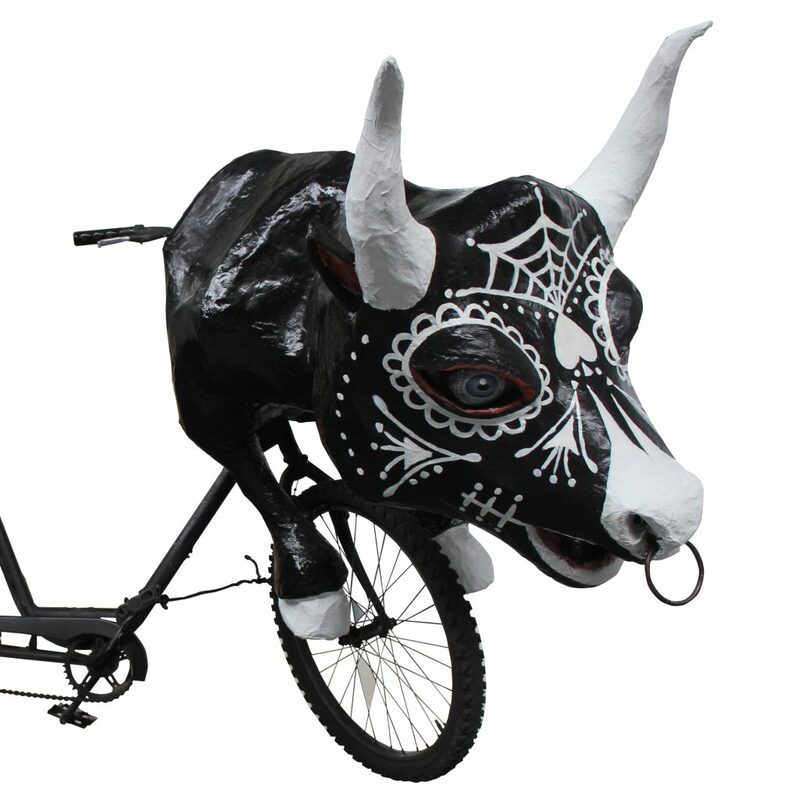 Art Bike Biography: Santana the bull was named after music legend Carlos Santana. 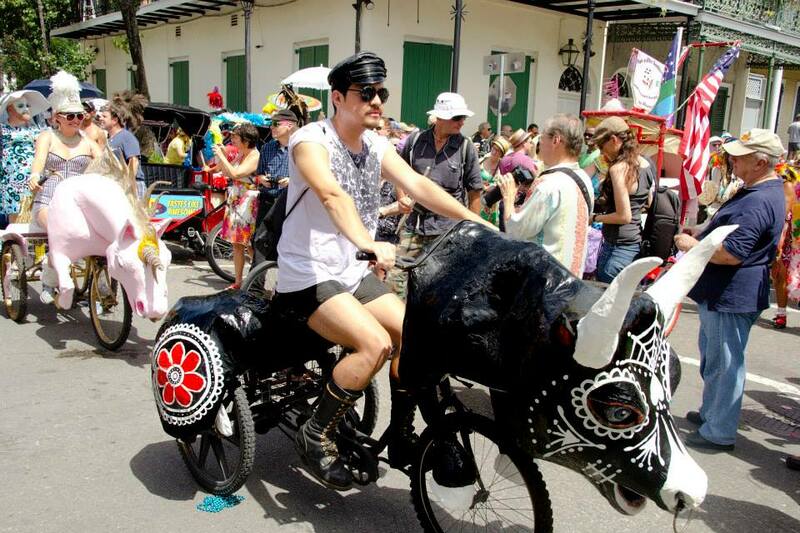 His day of the dead paint job and bold sculpting make him a favorite for parade goers. 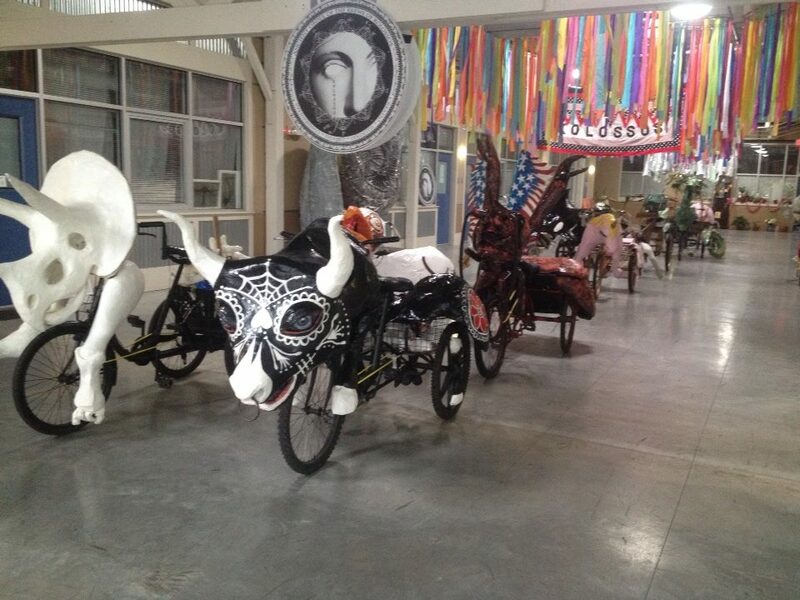 Constructed using repurposed materials including paper bags, newspaper, an old softball (eyes) and aluminum foil.